Brands have two options: to anticipate a consumer's mood, or to change it. By placing content that appeals to consumers' current mood, we're able to take advantage of their purchase intent. In that regard, the context in which an advertising or marketing message is served in has a huge bearing on the way it is received. Online media platforms are notorious for their use of first-person data. But we can also analyze page data. Doing so allows for a rich understanding of context, and it enables us to predict the environment our messages will appear in. In this, the third video of the Context Is Everything* series of interviews, Sabine Benoit, professor of marketing at the University of Surrey, briefly explains how consumer behavior is affected by contextual factors, and what marketers can do to capitalize on that fact. *The Context is Everything series of videos presents highlights of discussions with neuroscientists, linguists, and behavioral psychologists about how people react to video messages in the digital environment. The series is a project of video intelligence platform vi, which connects publishers, content providers, and brands through video storytelling. 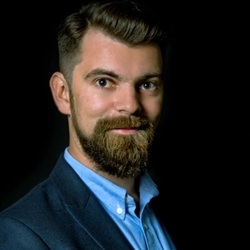 Luc Benyon is head of marketing at vi (Video Intelligence), a contextual video platform.